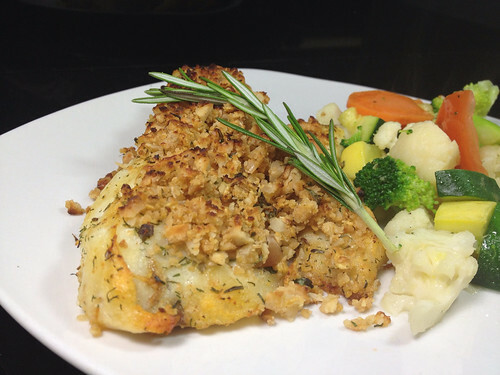 This week on special we are serving a broiled cod filet toppd with a lemon and macadamia nut crust. Cod is probably one of the easiest things to sell because even those that are not sea-foodies tend to like the mild flavor of cod. But, that mild flavor that everyone likes might be hard to come by in the next few months so if you are someone that enjoys cod, you better enjoy it while you can. After our most recent shipment of cod came in, we were made aware of some new happenings within the cod fishing industry. It's not always easy to stay abreast of everything happening within the food industry and this one got by us. In the Gulf of Maine, Cod is the regions most iconic fish and it has provided for the lifestyle of numerous fishermen and their families for decades. In the middle of last month however, the region was effectively banned, by the federal fishing industry, from fishing cod until at least April of 2015. Why, you might ask? Well, this has been something the powers that be have been monitoring for a few years now. Last year the agency that oversees fishing in the region lowered the amount of cod that could be caught by 77% over 2012. The number of cod in the region is estimated at around 2400 metric tons. In comparison, when fishing in the region first began record keeping in 1982, 2200 metric tons of cod were fished in that year alone. You can easily see the cause for concern. Furthermore, it is the NOAA (National Oceanic and Atmospheric Association) that monitors the oceans species supply. They have surmised that the cod supply has dwindled to as little as 3% of what it would take to maintain a healthy popluation. Further complicating matters is that the young cod fish they were monitoring were producing well below average spawning rates. The two factors combined are what led to the cod fishing ban in hopes that the species can recover to sustainable rates over the course of the next 6 months. While this is a devastating blow for the livelihood of many fisherman within this region, the NOAA hopes to have things up and running again in May. It's a short term ban for a long term gain. Fishermen may have to find other ways to make ends meet in the short term. But, if they were to eliminate the species from their local waters, completely destroying their way of life, 6 months doesn't seem like that long of a sacrifice.